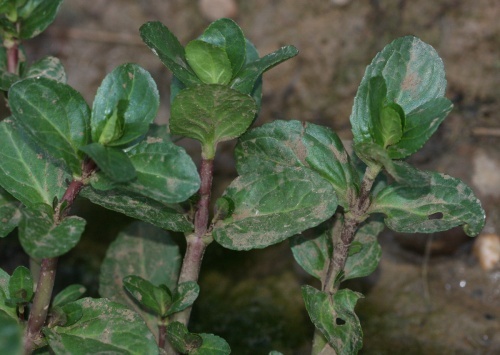 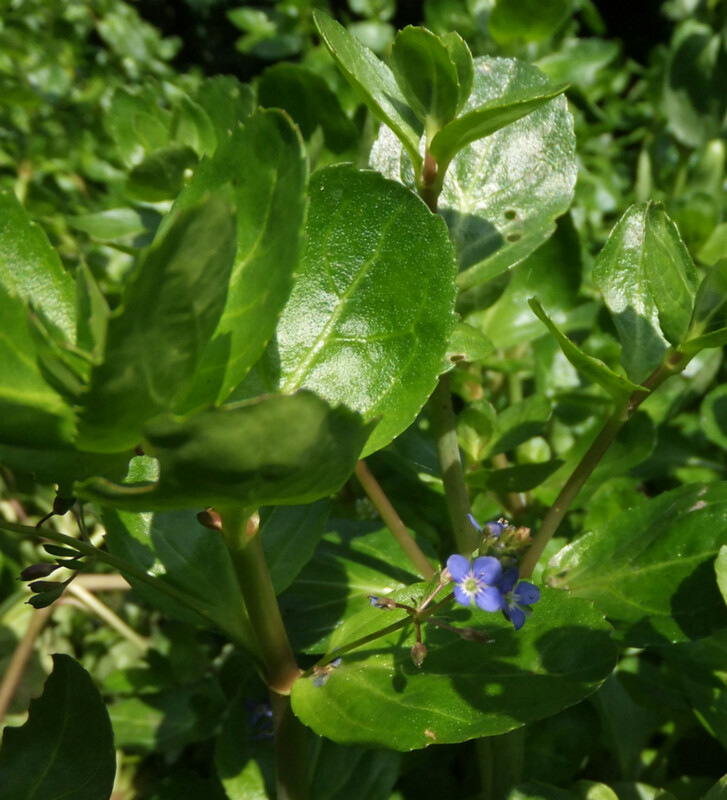 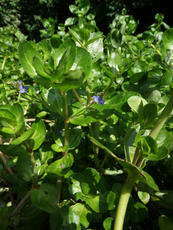 Up to 40 or 50 cm tall with creeping stems rooting at the base then ascending, thick and fleshy. 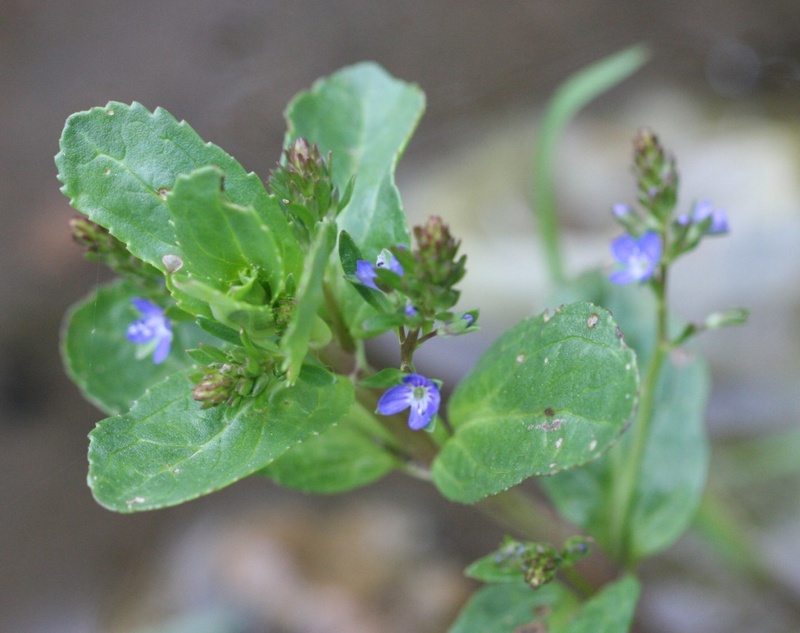 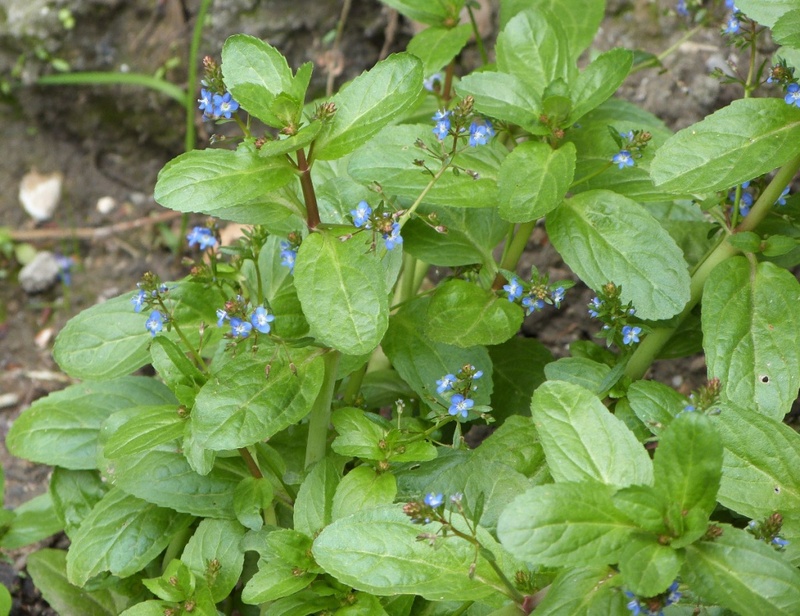 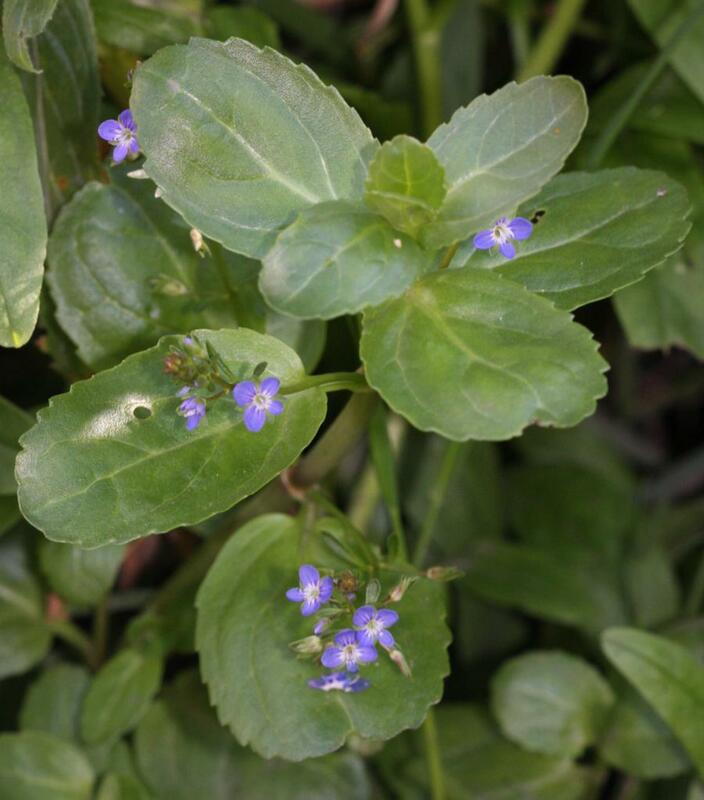 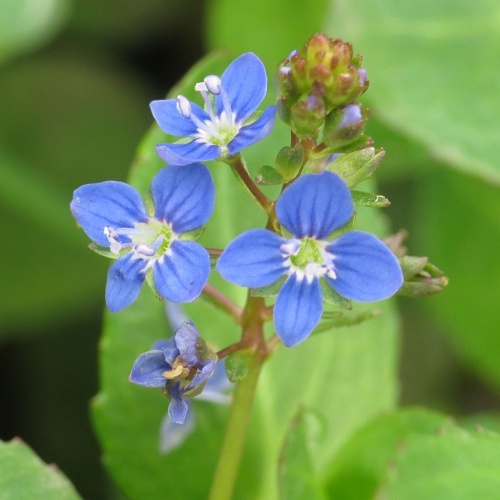 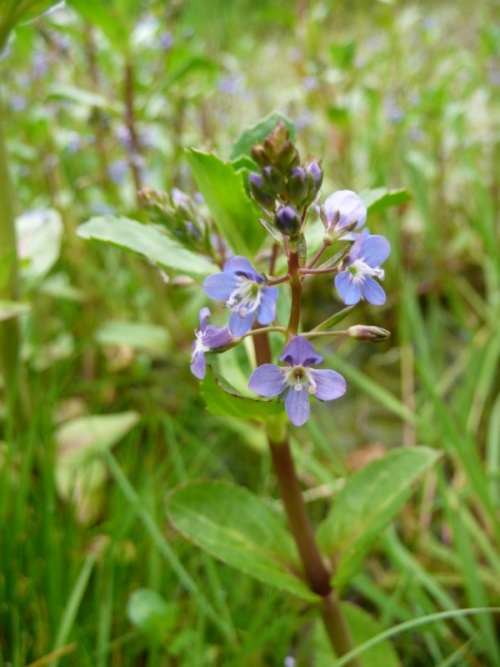 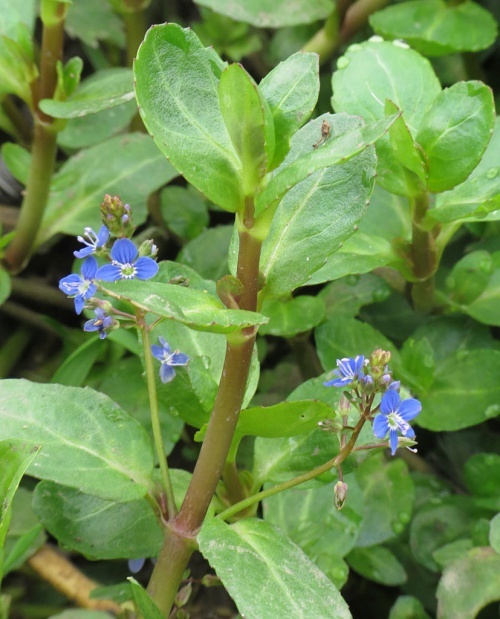 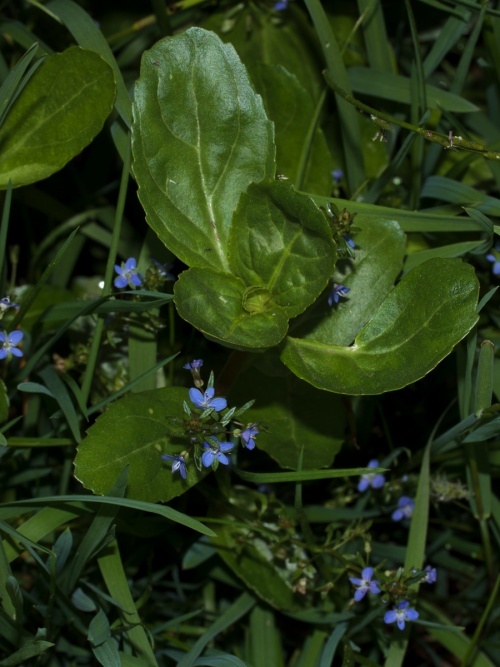 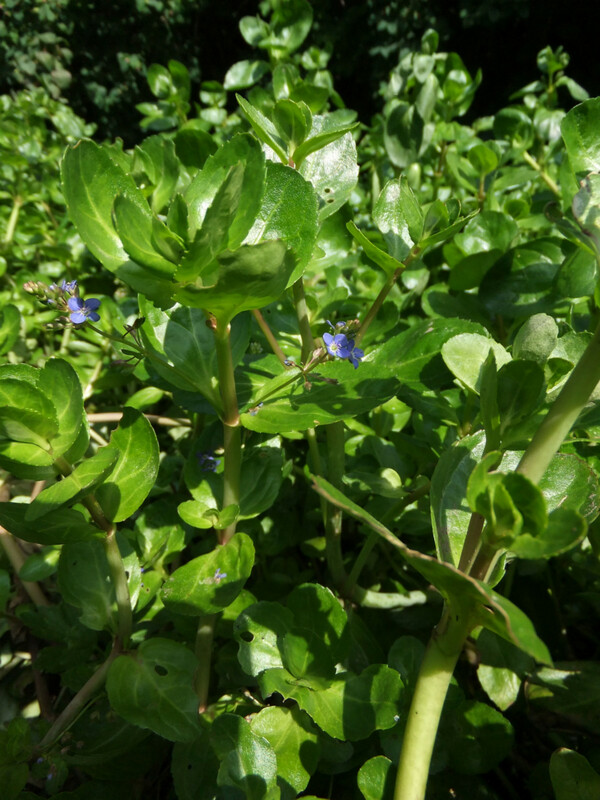 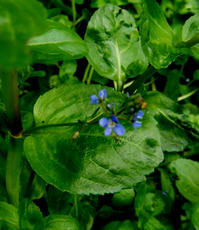 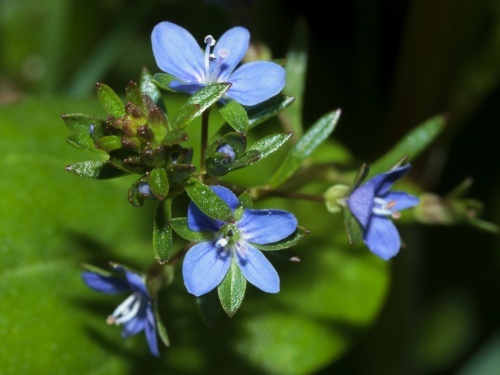 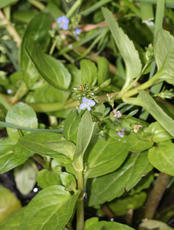 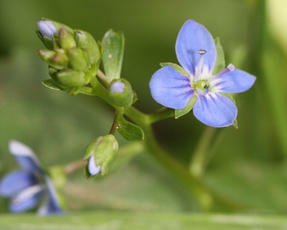 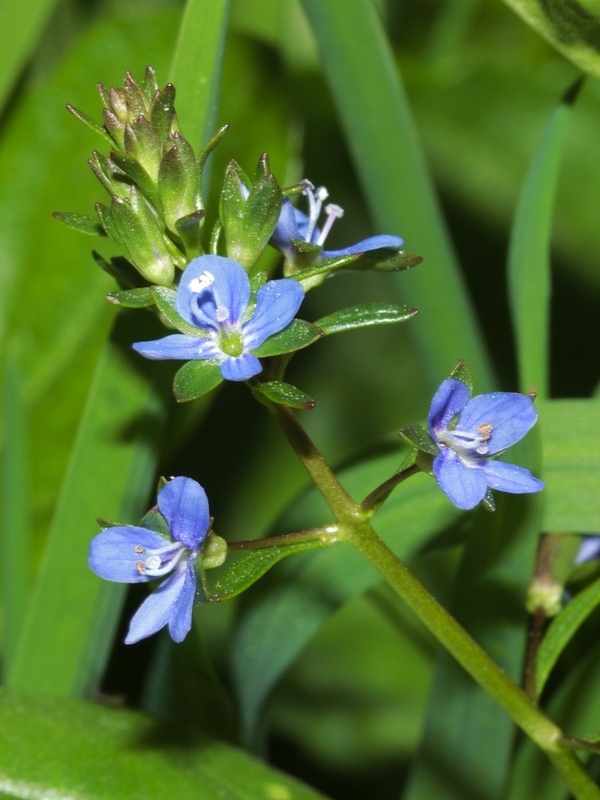 Flowers pale to dark blue, 5 to 8 mm in opposite long-stalked racemes rising from the bases of the upper leaves. 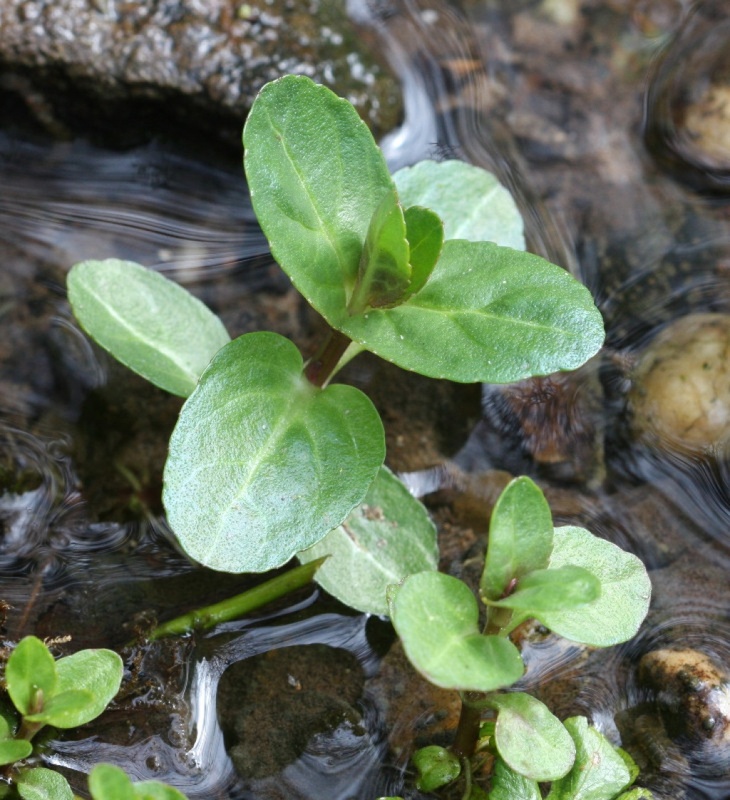 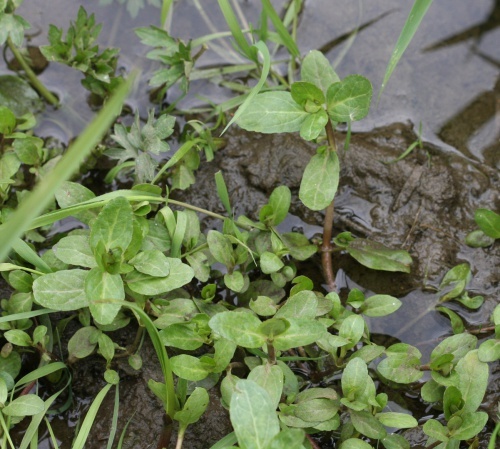 Wet habitats such as stream, lake and pond margins. Common in Leicestershire and Rutland. 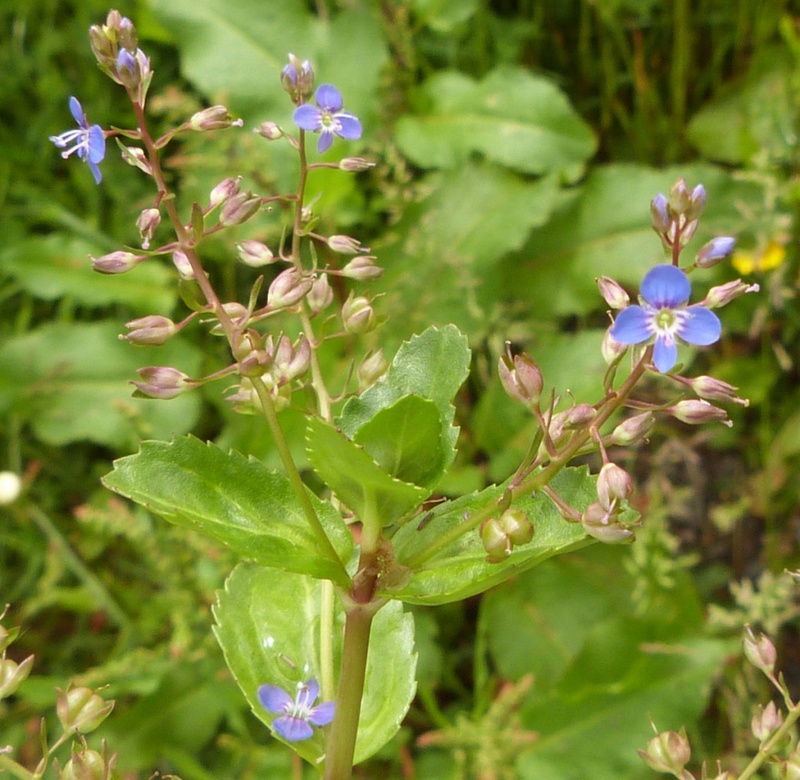 In the 1979 Flora survey of Leicestershire it was found in 529 of the 617 tetrads.